Should I Buy Real Estate in Florida? Choosing different markets to purchase properties for use as rental investments is one roadblock for many investors. Some of the hottest markets that were cash flowing a few years ago are now performing poorly. 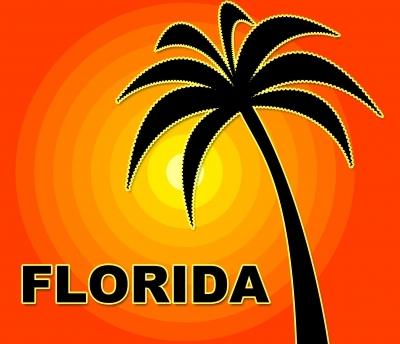 The Sunshine State is one area picked by buyers of homes annually for a number of reasons. A person asking should I buy real estate in Florida can find information here. Florida has about 138 colleges across the entire state. What this means to investors in the housing industry is dollar signs. Because students who do not live on campus seek rental houses, the ability to earn positive inflows of cash every month remains strong in many FL cities. According to new data released by the Business Insider, 50 states were profiled this year for economic development, non-farm payrolls and the strength of the housing industry. Florida has been named the 7th best economic state while Mississippi ranked number 50. Florida has more beaches per capita than any other state in the United States. The tourism industry in Orlando, Jacksonville, Miami and Tampa continues to thrive annually. From state parks to local attractions, more consumers visit FL year after year helping to boost the economic growth. Jacksonville has the largest population across the entire state of Florida. What this means for the rental market is a solid avenue for returns. Combined with the college and tourism crowd, adults move to Jacksonville, FL and other cities annually for jobs or to retire. A large percentage of these adults choose rental homes as their primary living quarters. There are generally three options available to an investor who is planning a home purchase in Florida this year. The first route is the foreclosure sale. These homes can be purchased from banks or homeowners by way of a short sale. The second route is to buy from a realtor or broker who is listing properties on the MLS or open market. The third option, and one that is most profitable, is the turnkey home supplied by an investment company. While the housing market took a hit in the 2008 through 2010 years, Florida continues its economic rise. 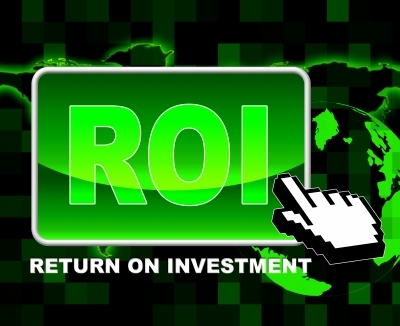 The current average ROI for a rented turnkey property is between 6 and 15 percent. 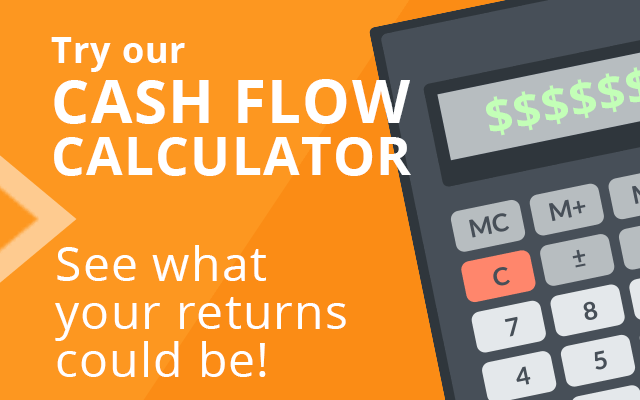 This provides up to 5 times the rate of return compared to stocks or municipal bonds for investors. 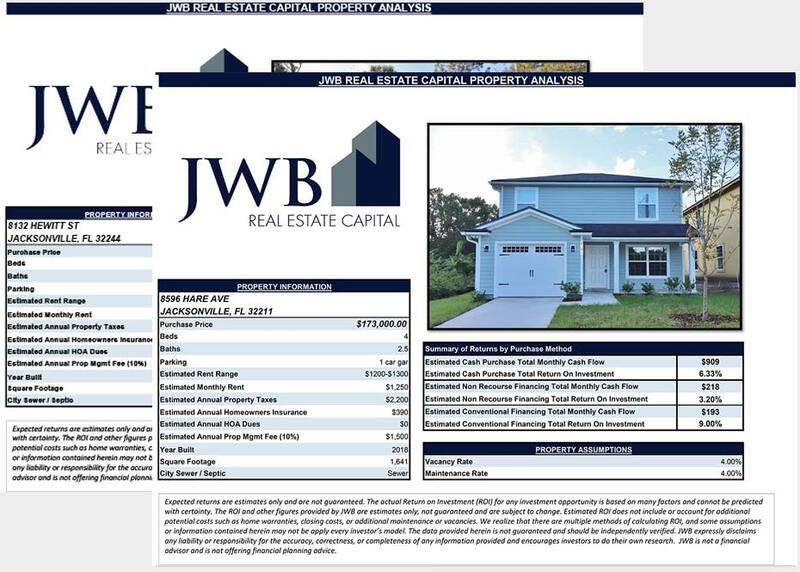 The JWB Group supplies managed rental properties that are fully turnkey and available for sale. Learning about this income stream is easy and a starter guide can be downloaded directly from this page.